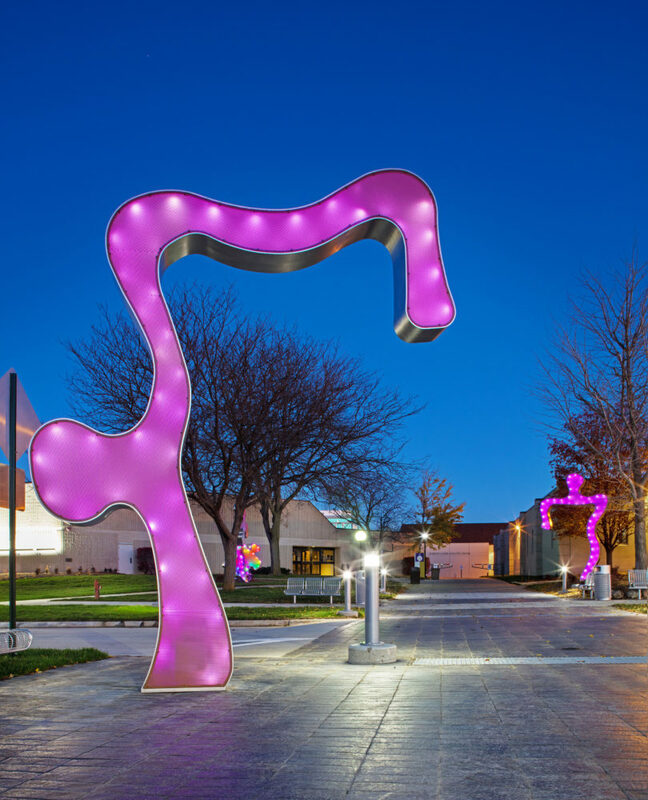 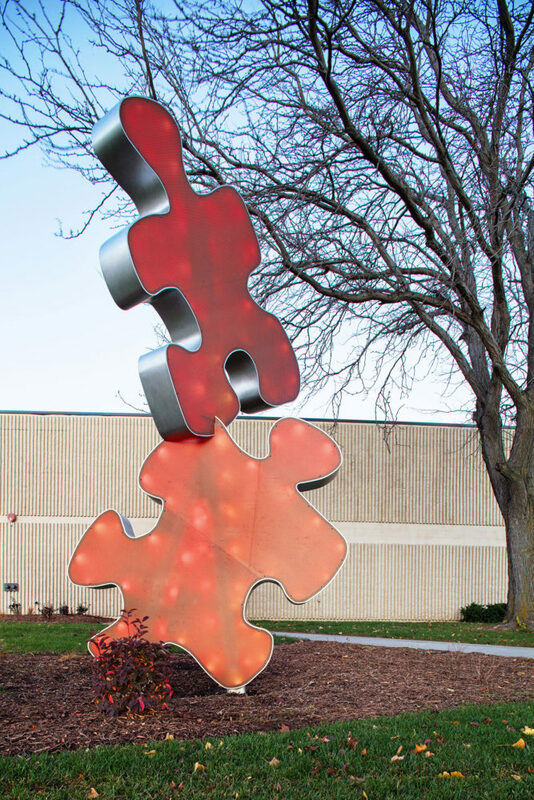 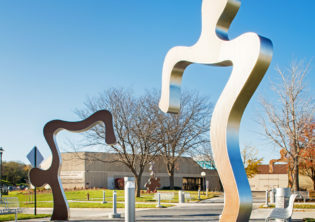 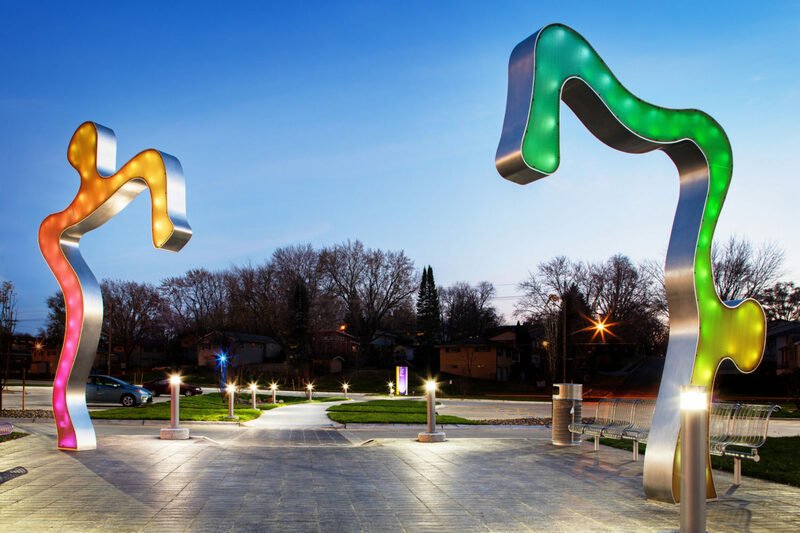 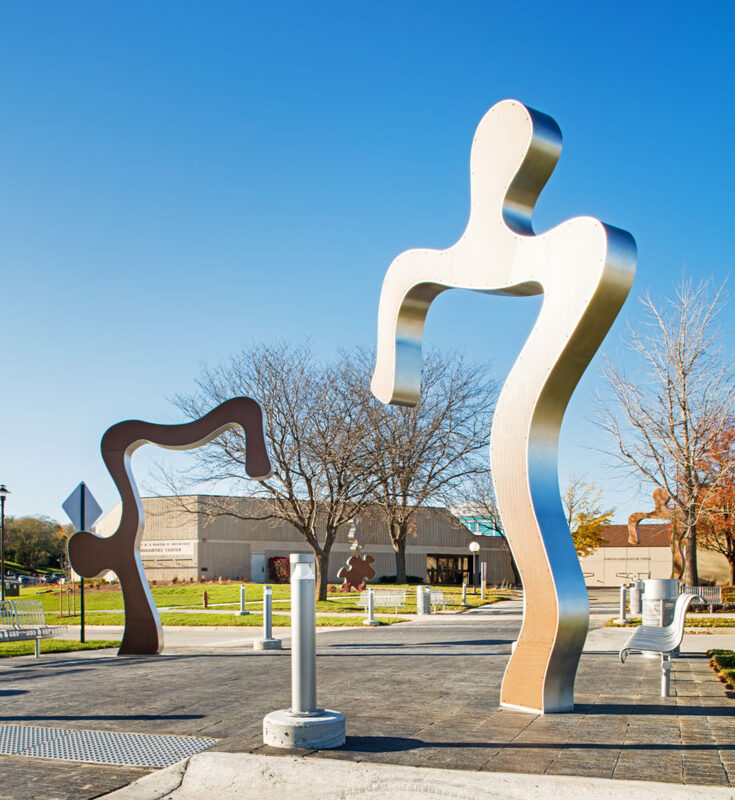 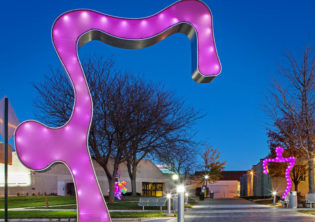 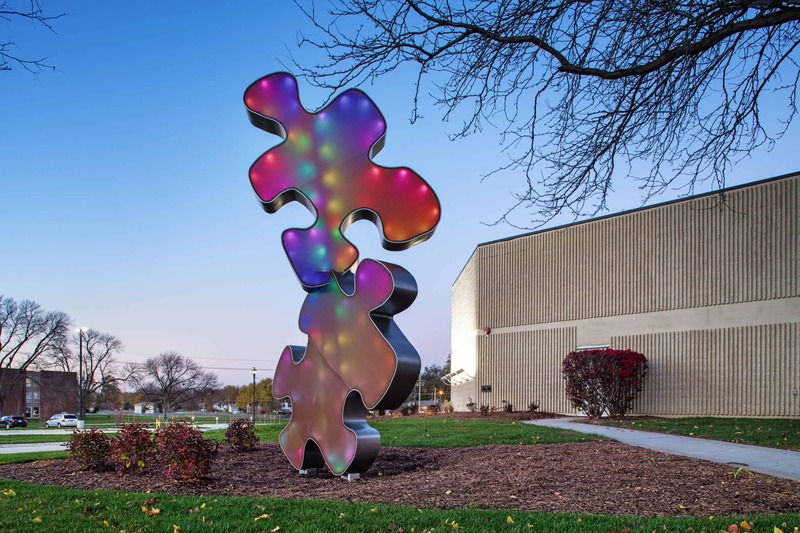 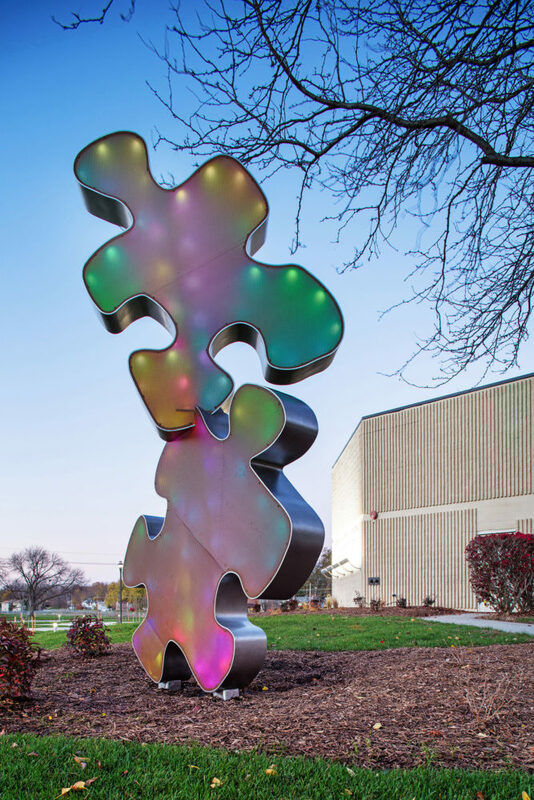 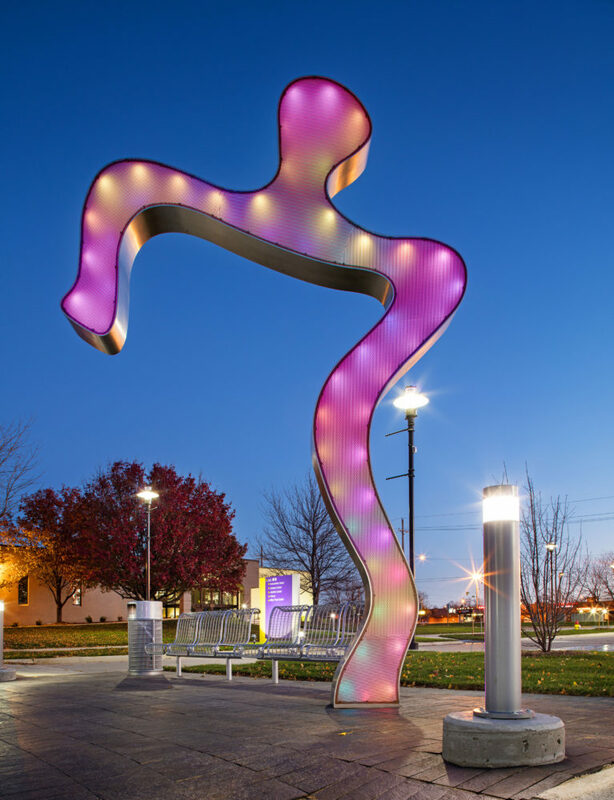 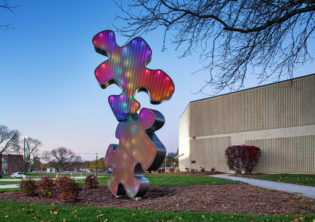 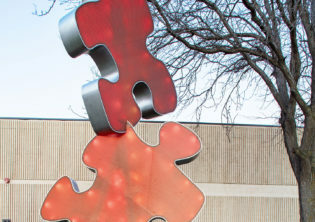 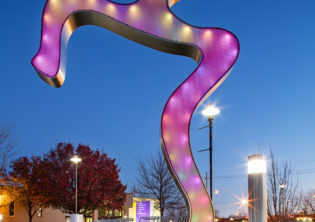 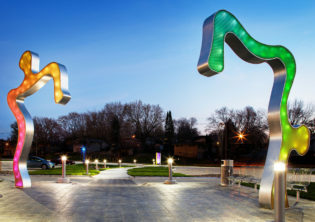 “Connections” is a series of abstract puzzle pieces made of stainless steel, polycarbonate, bronze and LED lighting, installed at the Bellevue University campus. 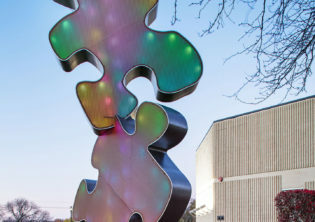 The sculpture puzzle pieces are intermingled with the walkway, giving it a unique interactive experience, connecting buildings, students, faculty and business opportunities. 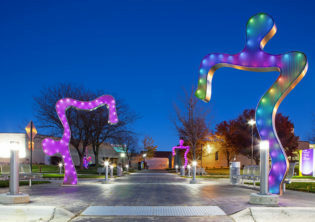 “Connections” invites you to dream, build and connect with the colorful shapes and pieces.